Following our previous article about key industry trends for DAM in 2011, in this post we consider the technology trends that may drive the market this year. A key theme for 2011 will be the trade off between end user realities and vendor aspirations to use some of the latest innovations in web technology. While this is probably the case every year, we expect 2011 to be especially demanding. The practicalities of integrating many new developments into existing product platforms with existing outdated browsers, poor connectivity and a lack of agreed standards present some non-trivial problems for the industry. 2011 will be another year of managing end user expectations – but perhaps more diligently than before. We anticipate vendors will have to invest in techniques which accommodate multiple standards to support different groups of users. Clients and customers are unlikely to want or be able to subsidise development costs that do not directly relate to their own implementations, so vendors must both invest into their products but also be agile enough to change strategy should it prove unworkable or based on a technology which falls from favour. Some vendors may choose to defer their ambitions until the dust has settled on the client side (perhaps favouring back-end integration instead). This is an equally high risk strategy, however, as it may be more difficult to catch up in 2012. We expect industry causalities (either via merger or commercial failure) from those who have both over and under played their hand in 2011. 2011 has been widely tipped as the big year for video in DAM. Our opinion is counter to the prevailing view because we do not believe sufficient attention has been paid to the environment into which most DAM solutions are going to be deployed in 2011. We expect this year to be a transitional one for video, big on promise but demanding for vendors to deliver in a way that will meet client’s expectations – especially in the enterprise market. The ongoing confusion about HTML5 video standards will lower the level of sophistication vendors are able to reliably introduce to their products without running into compatibility challenges and this will be compounded by the lack of widespread support for HTML5 video in a typical corporate web browser (which is still usually IE6 or IE7). Currently the video support in most DAMs is limited to basic transport controls like play/pause/rewind. 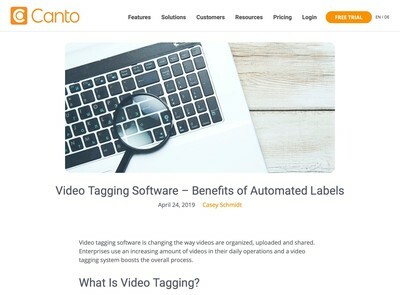 We would expect demand from end users for far greater integration with metadata, logging, transcription and enhanced editing capabilities: the more advanced options already available to conventional desktop video editing. While these capabilities are much needed, the standards issues make delivery of these extended features via a web browser much more demanding (and therefore costly). We expect a ‘wait and see’ attitude to be adopted by many. While it is apparent that Flash is suffering as a result of being banned from the iPhone and iPad, the standards wars will enable Flash to persist through 2011 simply because it offers the most reliable choice for anything apart from iPads and iPhones (which we do not believe is yet a core DAM market). Since this issue is repeated across many sectors as well as DAM, however, the development of video delivery libraries such as Kalutra may help vendors in the same way as JQuery and other tools have enabled AJAX and DHTML to become more practical options for richer client-side interfaces. These could facilitate the transition away from Flash and help adoption of HTML5 video as a result. Another factor that will frustrate video in 2011 is the limited end-user connectivity available to handle HD content. This affects both consumer and corporate markets equally. No amount of investment in Content Delivery Networks (CDNs), Clouds and related techniques will avoid this issue. Because of these factors, many users may continue to view video through Flash players and encoded in FLV because the playback works properly even if the quality is not amazing. If the infrastructure situation improves amongst corporate users, HD may become more practical. Overall, momentum is on the side of video, however, and using a DAM system for routine video production work will be approaching a reliable proposition by 2012 and a standard requirement for most DAMs by 2013. The CMIS standard was agreed by major ECM vendors in 2010 and is touted as ‘SQL for ECM’. Although we expect CMIS to gain in significance, it may not make most end-user wishlists until 2012 until the industry has explained the benefits more thoroughly. So, a crucial choice many DAM vendors may need to make in 2011 is whether to commence developing support for it or wait to see if it acquires momentum. Since it has widespread support from larger players in the ECM market, it seems an easier decision to back CMIS rather than some of the client-side technology choices at present. 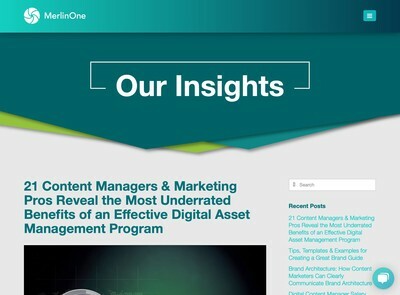 Historically, DAM systems were used to hold assets for non-digital media like print or video. A lot of media is now delivered online via websites, social media, email marketing etc. We would expect DAMs to be used to source more media for these online only purposes this year and potentially eclipse searches relating to offline media use in 2012. This has a number of implications for the digital media supply chain. In the same way that DAM systems have been engineered for greater integration with print and video production tools in the past, some cross over with Web Content Management (WCM) seems to be likely. 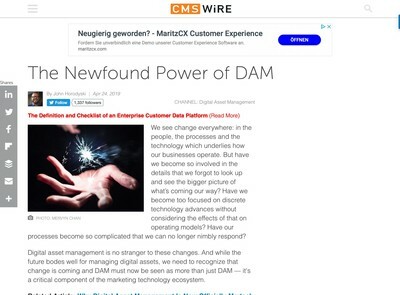 As mentioned in the industry article, this means some prospective DAM users may choose to use their Web CMS as a DAM or consolidate everything into ECM solutions that handles all requirements. To avoid this, DAM vendors will need to extend their products so that DAM is the central hub from which all media originates for these other potentially competing technologies. This trend highlights the need for DAMs to be more integrated than ever before and why server-side may be the more important battleground for 2011 than the client side – although it will be talked about far less. We expect end users to become more savvy about the importance of metadata in 2011 and technologies such as the Semantic Web will become more widespread and used within DAM solutions. Users will be increasingly intolerant of poor quality search results and will expect their DAM search experience to be similar to general web search engines but with the benefits offered by faceted searches and controlled vocabularies. Those DAMs that can successfully integrate both structured and unstructured search techniques into the same UI in a way that is simple and logical will see increased user adoption and become more integral to the organisations where they are deployed. We foresee DAM solutions becoming increasingly like social media in 2011 and a greater emphasis on community features within DAM systems. 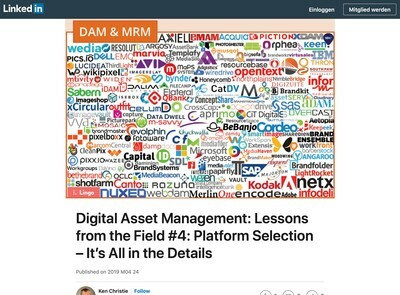 As well as the core function of finding and downloading assets, bulletin board and blog style features will be used increasingly to organise the origination of assets and DAM systems may evolve to include more project management features. Some products already possess these capabilities but we expect them to be regularly included in RFPs for mid-market departmental DAM solutions (and above) in 2011. While the use of mobile devices and tablets for DAM may increase in 2011, the use cases are still more difficult to understand. The majority of practical work involving DAM systems will still be done by employees working from a desk in an office. As discussed, many enterprises continue to be reticent to invest into IT hardware and the costs of tablet devices like iPads are still uncompetitive compared with a typical desktop PC (which are now cheaper than ever before). Where mobile devices offer much more of a tangible benefit is field based asset capture. As there is greater convergence between cameras and mobile devices, mobile may become more integral as a method of more easily cataloguing assets closer to the point where they are recorded or originated. So we expect growth in mobile DAM on the asset supply side in the form of asset and metadata capture applications. In 2012 and 2013, this may begin to change and end users will expect to be able to use the same interface on all devices everywhere and at that point, DAM on mobile devices may become a more common requirement. We predict that those vendors who are still using Flash or Silverlight based interfaces will be looking to exit from this technology and convert to more widely supported HTML standards, with JQuery in particular continuing to be an unstoppable force. While Flash will continue to be used for most video delivery technology (for 2011 at least) the ubiquity of the plugin could decline and be more of an issue by the end of 2011 than the absence of support for Flash in iPads and iPhones. Legacy browsers such as IE6 and IE7 will continue to frustrate the development of improved user experiences with DAM and much depends in 2011 on the replacement of these browsers in corporate markets if web based DAMs can continue to expand in sophistication and meet the demands of end users. The economic constraints mean that many companies may continue to defer investments into technology refresh programmes for another year and we believe this could act as a drag on progress through 2011 although by 2012 we expect IE6 at least to be finally on its way out. The Cloud is now being discussed in the mainstream media and there are clear advantages for vendors and customers to transition some facilities to this platform. We foresee nearly all vendors of all types (SaaS, Open Source and Enterprise) offering some kind of Cloud hosting. The development of ‘Private Clouds’ seems likely to accelerate to try and capture some of the risk averse end of the market in more sensitive sectors like finance or defence. The risks of a commercial failure of Cloud providers is relatively low currently because demand for Cloud hosting is rising, however, more M&A activity is in prospect and there will be greater convergence between Cloud providers and CDN operators in 2011. These factors (and ongoing demand for HD) will keep bandwidth prices stable through 2011. A security breach or other technical failure which could cause end users to question the stability and safety of their data is the only serious issue which could derail the rise of the Cloud at present in our view. There is one long-term trend which commenced a number of years ago but which we foresee being considered more deeply as the DAM market progresses. It may have some far-reaching consequences for the DAM market and force vendors to re-evaluate their strategy. Up until now, a DAM system is something the user deposits assets into. Assets are created outside the DAM in other applications, uploaded and then have metadata applied to them. This adds a lot of extra effort for end users. Some vendors work around this by integrating DAMs with production applications such as Quark, PhotoShop, Final Cut etc. to make it easier for users to remain within a familiar environment and reduce the effort required to ingest assets into a DAM. It would be much easier for users, however, if the operating system already had DAM features built directly into it. Asset metadata and usage context would be simpler to deduce automatically from the existing assets and the OS would possess full knowledge of how assets were used, where they came from and a wide range of deeper and more intimate information. The media management capabilities of operating systems have improved in the last 5-10 years and offers functionality that once used to be sold as independent products 10-15 years ago. As operating systems become much interlinked with the web and Cloud based storage becomes increasingly common, it makes more sense for the operating system to assume many of the functions of that DAM systems do now. It seems unlikely that the DAM system will be consumed entirely by the operating system, however, the future of DAM solutions as independent application “islands” (however well integrated) is probably untenable. The more successful the concept of DAM become, the more their features will be assimilated into other applications. One cannot imagine that Microsoft, Apple, Google and others are not aware of the increasing demand for tools to manage digital assets. The future of DAM may be more about integration of components around an operating system and interoperability standards than the development of monolithic systems which may find themselves competing directly with a major industry player and marginalised as a result. While this idle speculation is interesting to indulge in (briefly) during the post-holiday period, we do not foresee this becoming a reality for a number of years – perhaps never if the industry is always one step ahead as has been the case in the past. There will still be increasing demand for well crafted, functional and easy to use systems that can help end users manage their digital media. We expect 2011 to be technologically frustrating for end users and highly competitive for vendors, but ultimately rewarding for those that are prepared to commit to their DAM solutions both financially and emotionally. By Naresh Sarwan, Senior Editor, Digital Asset Management News.